It is a safe bet that if you are a human living in a first world environment, you have met the green monster of greed. In fact, you do not have to be an adult to have come across this slimy creature. Kids figure out the concept of mine and now almost as fast as they learn how to scream and run. Of course our culture does not help with this little issue, does it? It shows up in cartoons, music and movies all of the time, and not just in the form of the "bad guy". With three kids, the greed issue can often be overwhelming, which of course means that the mommy "desire" for calm and quiet succumbs to the greedy snake too... what you haven't taken a "mommy time out" multiple times before lunch too? To complicate matters, to allow the natural consequences of greed (have I mentioned my kiddos respond best to natural consequences...) is rarely practical for parents. Right? Which is why I am glad my kids love to hear The Greedy Python by Richard Buckley & Eric Carle. 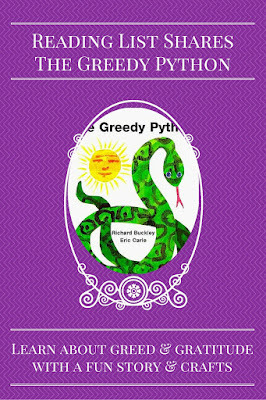 The Greedy Python ** is a colorful book that follows a particularly greedy python as he searches continuously for his next meal. In the process kids will see new animals and practice counting to ten. Most importantly, the impatience and greed of the python end in dire consequence on the final page. I think my kids love this book partly because of the mix of animals- a python, a mouse, an elephant, a jaguar... just to name a few - a partly because the python eats all of these animals. They just giggle over the idea of a snake eating so much, even to their young brains it is obvious this python is eating too much, too fast. I greatly enjoy this book because the python, in his haste and greed, brings about his own demise. 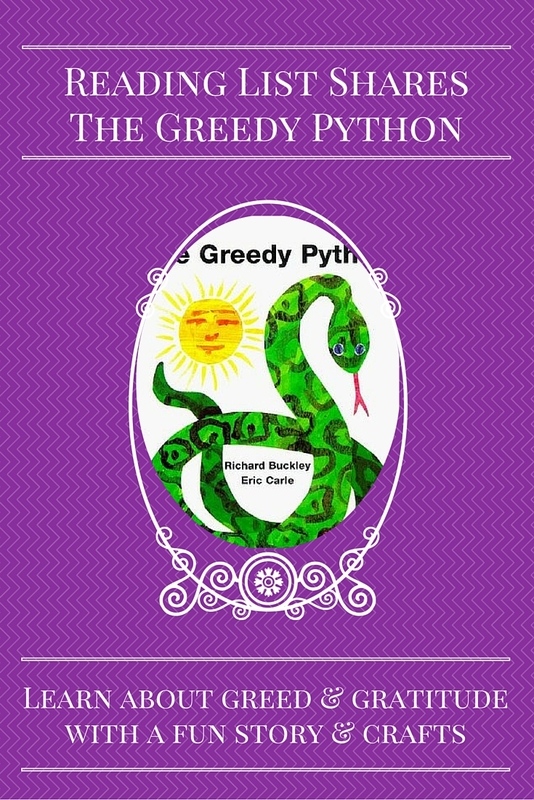 A life lesson about what can happen we allow greed to dictate all of our actions might not be what draws my kids to sit and listen to this one again and again, but the truth is being imprinted on their little brains each time we laugh at the greedy python. How do your kids best learn the big lessons? 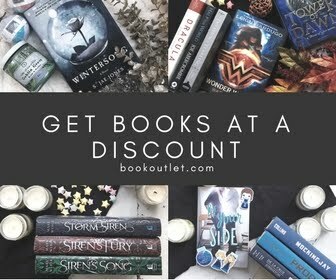 Do you try to teach with stories and books? 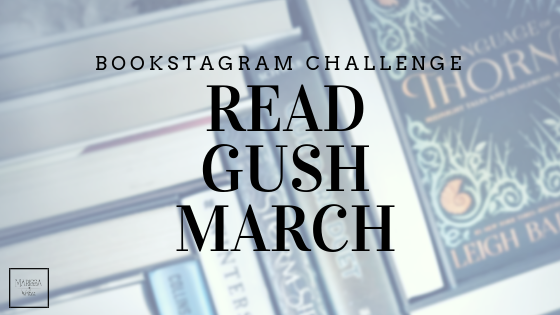 Which book has had the biggest impact on you and your kiddos?